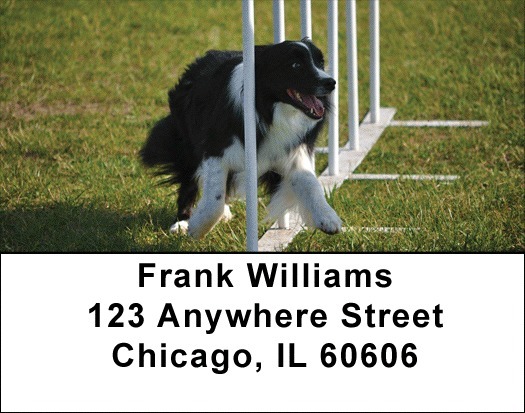 "Border Collie Agility Address Labels" product is already in your cart. Border Collies show their agility over four obstacles in this four series of rotating Border Collie Agility Address Labels. These dogs developed on the borders of England and Scotland where they got their name. Highly intelligent, they were bred for herding animals and even today are used on farms for this purpose. Border Collie Agility Address labels are self adhesive. Matching checks are also available.